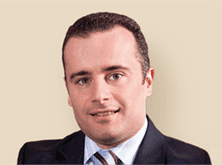 Dr Jean-Philippe Chetcuti is one of the founding partners of leading Malta law firm based in Valletta and London. Dr Chetcuti is part of the firm’s multi-disciplinary Tax Practice Group lead by 3 tax partners of the firm, specialising in international corporate and private client taxation. Dr Chetcuti is a key advisor on Malta holding companies, Malta royalty companies,Malta trusts, Malta foundations and professional investor funds in international tax and estate planning as well as Malta citizenship and Malta residence programmes. The firm offers end-to-end tax advisory, company formation, fiduciary, accounting and company administration services to clients using Malta in International Tax Planning, cross-border business structuring and wealth management solutions. Dr Chetcuti is the Chairman of the Maltese branch of STEP, the Society of Trust & Estate Practitioners, a member of the Malta Chamber of Advocates and sits on the executive council of the Institute of Financial Services Practitioners. He is also a co-founder and secretary of the MAFE Malta Association of Family Enterprises and has led proposals for the enactment of a world first Family Business Act in Malta. Dr Chetcuti is an experienced immigration advisor and holds licence no. IIP 001 as Maltese Authorised Registered Mandatory (ARM) which provides rights to represent foreign citizens for their residency and citizenship applications. regulated internet gambling &diigital gaming. Speaks English and Italian languages.